Simplicity Consulting performs full-charge, full-cycle accounting and bookkeeping. You don't need the frustration of trying to figure out a debit from a credit, an expense from a COGS, an asset from equity - our team of experts takes care of all that for you! We use the most up-to-date technology and software so you can have﻿ you﻿r financials at your fingertips from anywhere in the world! 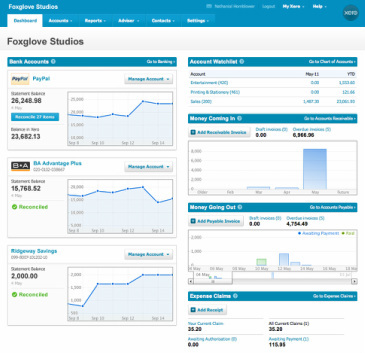 Although we work with several popular accounting programs such as QuickBooks, FreshBooks, and Sage, Xero is our preferred platform.﻿ ﻿To fi﻿nd out why we love Xero and why you should too - click﻿ ﻿here﻿﻿﻿. Our accounting and bookkeeping services include entering daily transactions, processing accounts payable and ﻿accounts r﻿eceivable, bank statement reconciliation, fixed asset maintenance and general ledger maintenance. We can help you with budgeting, cash-flow forecasting, and break-even analysis. We provide simple, clean, accurate financials - balance sheet, income statement (profit & loss), statement of cash flows - so you can have a clear understanding of your company's financial position.